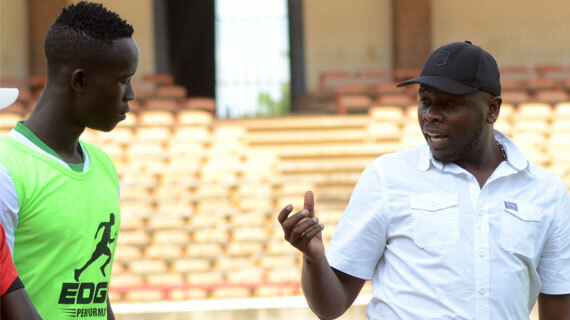 Kariobangi Sharks head coach William Muluya is confident his squad can challenge fully in next season’s CAF Confederations Cup, saying he has confidence in his current squad to do well in the continental championship. Sharks earned a ticket to the Confederations Cup after beating Sofapaka 3-2 in a thrilling finale of the FKF Shield last Sunday and Muluya says they are ready for the challenge. “I think we are ready. If we were not ready then we could not have won the title. This is not a threat for us but a challenge which I know we are equal to. We have a good team and I don’t think we will change much of the elements,” Muluya said. “We will only make a few adjustments here just to make sure that we are strong enough,” the coach further stated. Meanwhile, Muluya has lauded his players for their effort ensuring they win their first ever major silverware in only their second year in top flight. The coach said the award was deserved especially for the players who have stuck with the team from their days in the National Super League. “Sometimes, the fruits of something that takes time to build are very sweet but achieved with a lot of hard work. The players have worked for this and deserve it. Not only for me as a coach but everyone who has put in hard work,” the coach added. Sharks have little time to celebrate as the new season begins on November 27 for them with the preliminary round of the Confederation Cup. They play Gor Mahia a week later in the season opening Charity Cup before beginning their league campaign against AFC Leopards on December 9.